The BEAN: What the Frick is a Publishing Hackathon?!?! Maybe my post title is over the top, but that was the question I have been asked time and again, along with why would BEA care or be involved something like a 'Hackathon'. The real question is why haven't we done this before? Below are all the details on what happened at the Hackathon this past weekend and how the results will be rolled out at BEA next week. But before sharing those details, here is why I am so excited to make this part of BEA - it highlights the vast opportunity that exists in publishing today and how technology is the key to the future for this grand old dame of an industry that we all live in and love so much so let's embrace it! Last weekend 200 developers, designers, and entrepreneurs flocked to The Alley NYC for a 36 hour marathon of experimentation, all to help the world discover great books. 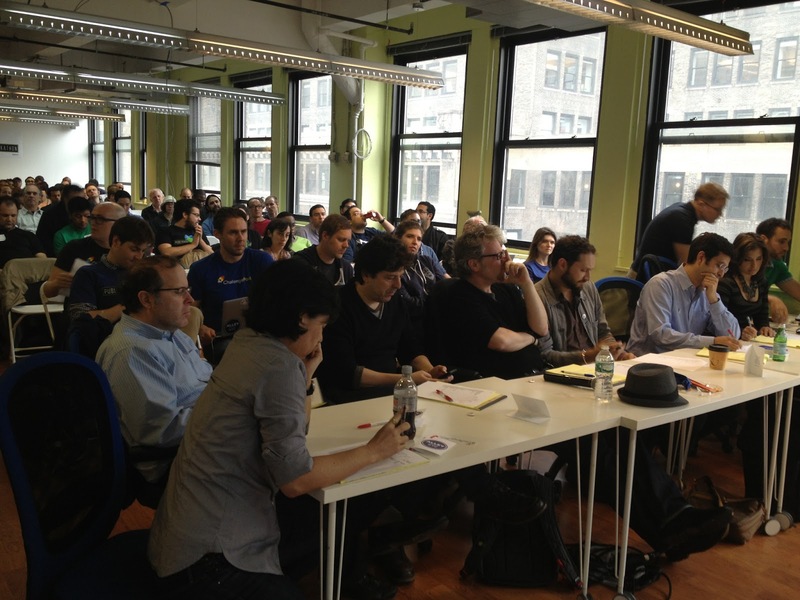 Organized by the Perseus Books Group and Librify, and with partners like BEA, New York Public Library, and William Morris Endeavor the first-ever Publishing Hackathon was unlike any other publishing event I’ve been to yet. After half an hour of deliberation, the judges selected 6 teams to advance to the finals at BEA and compete for the grand prize. Along with a ticket to BEA, the finalists took home a uniquely awesome handmade Publishing Hackathon Lego trophy. 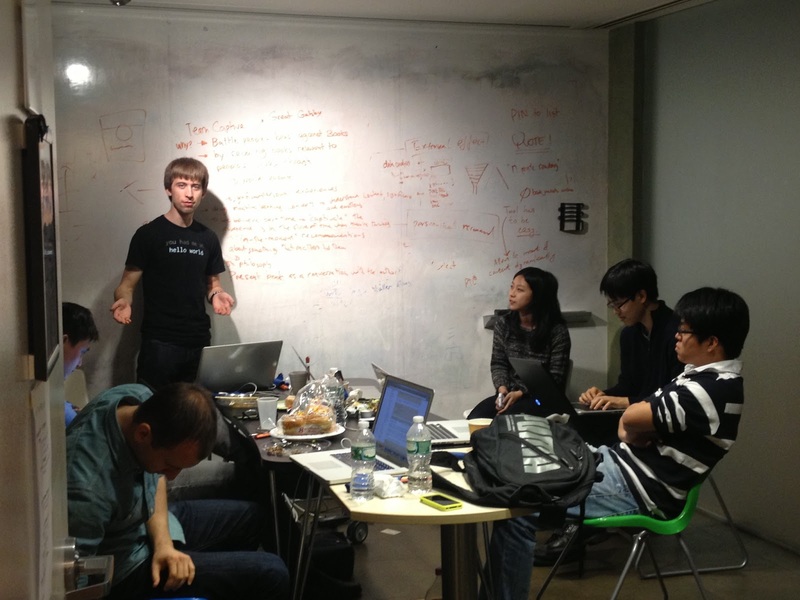 Several prizes for APIs and smaller challenges were also awarded. The energy was great, and in the words of Rick Joyce, CMO of Perseus “Not only were fascinating solutions developed, but there was a lot for a publishing person to learn about the ways content is connected and discovered digitally from these talented designers and coders.” The excitement will continue at BEA. On Friday, May 31 the 6 finalist teams will compete for $10,000 and the opportunity to pitch their idea at a breakfast meeting with Ari Emanuel, Co-CEO of William Morris Endeavor. The Grand Finale will take place at the Downtown stage of BookExpo America starting at 3PM. Only one team will emerge victorious. A panel of superstar judges including venture capitalists, publishing executives, renowned authors, and titans of the tech world, are tasked with selecting which project best addresses the challenge of discoverability. 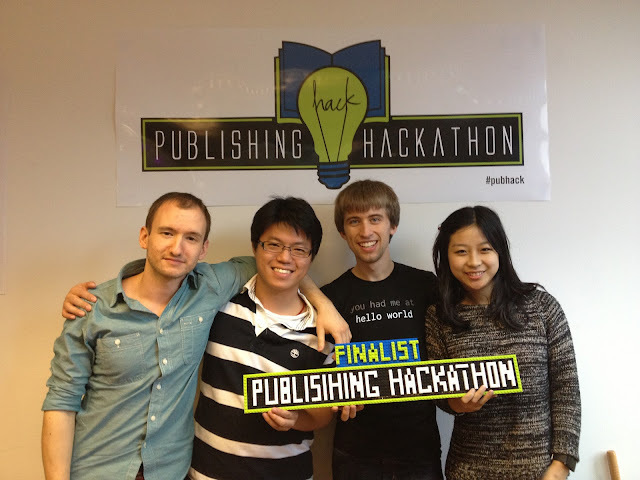 Don’t miss out on the chance to watch the Grand Finale of the First-Ever Book Publishing Hackathon. As only fitting, drinks will follow the event, sponsored by yours truly. Let the judging begin! I see you Rick Joyce - up front and looking judgmental.